Henry (Harry) John Gibbs Flindell was born on June 20th 1882, probably near “Joondalup” Wanneroo where his father was farming. The birth was registered in Perth. He was the sixth child and second son of Henry Conquer and Ethel Mary (nee Truslove) and therefore of pioneer stock on both his father and mother’s side. He was named Henry for his father, and John Gibbs for his maternal grandfather, John Gibbs Truslove. It is not known where Henry began his schooling, but Ellen and Henry valued education and would have encouraged their children to attend school and study. Henry left school at 12.5 years having passed out of the ninth grade. He had the scholastic ability to go further, but had to leave to help support the family. We do know that whilst at the Government Boys’ School Fremantle, Henry gained a Regular Attendance, General Proficiency award. A newspaper article mentioned awards to James Scott, Edwin Shaw, Frank Flindell, and George Innes (full time, one year); and Henry Flindell and David Scott (two years). relationship at church socials. That was the way of life then. John Henry was stillborn October 8th 1913 and was buried with his grandfather Joseph Ulrich at Fremantle Cemetery. Jack was born December 23rd 1921 in Beaconsfield. Joan Dunn, born March 27th 1914 was only child of Henry’s sister Charlotte Ada and Thomas Paul Farrall. Her father died in 1938 and her mother in 1949. Joan was like a daughter to Henry and Jessie and a sister to her cousins. She took a trip on a very small coastal boat, which was where she met cabin steward George August (Scobie) Dunn. Joan was terribly seasick on that trip and Scobie looked after her. It was after her mother had passed away, so when she returned to Fremantle she took a taxi to 45 Samson Street. Jessie put her to bed and looked after her until she was fit to go home. When Joan married Scobie it was Uncle “Harry” who gave her away. This is offered by way of an explanation of the breadth and love within the wider Flindell family. Jessie came from a family where money was less of an issue. (See The Ulrich Family below.) Nevertheless, as the eldest daughter she was expected to stay at home and help her mother (Clara). It is not surprising that Bessie as the eldest daughter was also expected to help at home. Bessie understood, but there was no money for her. The boys handed most of their wages to their parents, but Hilda was free to buy dresses and have a good time. When Jessie went to Broome in 1931 to look after her sister Hilda Talboys, who was close to death, Bessie was left to care for the family. There was friction between the girls and the boys “lacked consideration”. Bessie found this overwhelming and broke down when Hilda came home with yet another new dress. It was a Cinderella moment. Her father, who was really a softy, comforted her, but he didn’t have enough money to buy her a dress, so he gave her 2 shillings for the material to make a dress. During this same period Bessie asked her father to wake her early in the morning to get breakfast and lunches for everyone. Instead, he let her sleep because she was worn out and did it himself. This had the salutary effect of a touch of guilt from the older siblings who were more considerate afterwards. 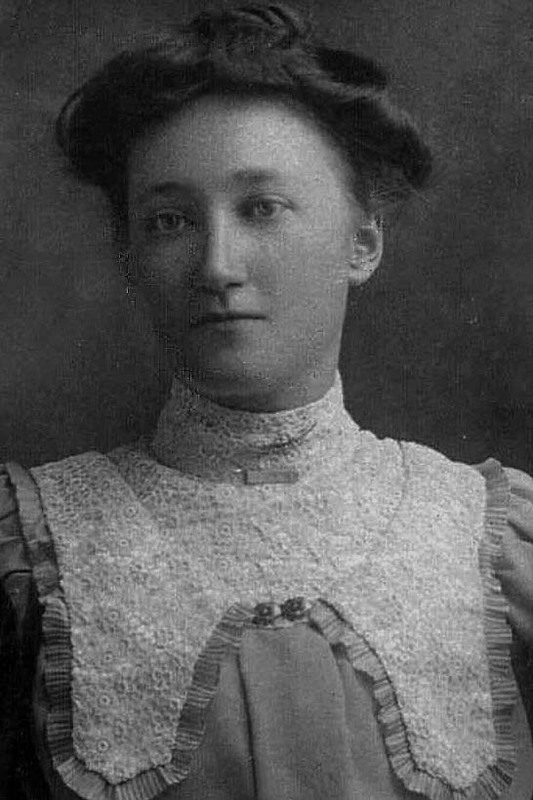 (See Bessie Flindell for her interesting life story). On leaving school in 1894, Henry obtained an office position. 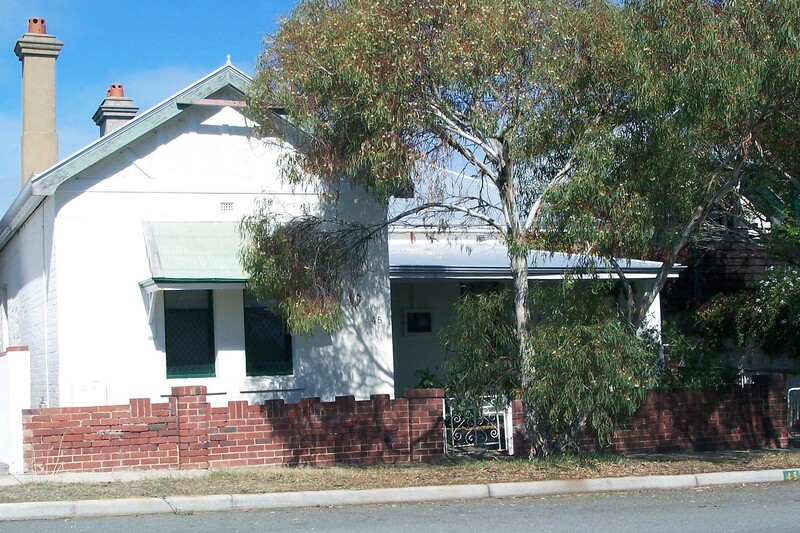 After about six months he left and went to Willshire and Feely at 15 Pakenham Street near Leake Street Fremantle where he remained for 13 years. His eldest brother “Frank” was with Willshire and Feely all his working life. It may have been Frank’s recommendation that help Henry gain a clerical position. This may be considered nepotism today, but at that time prospective employers looked to family background and the values displayed. They were both good with figures and Henry did the work of an accountant. Unfortunately he was made redundant and their first child Alan was a baby. The only job Henry could get was collecting rent for which he earned about 25 shillings a week. It was not a task he would have enjoyed. After about six months he gained a position more to his liking with J&W Bateman where he remained for 45 years. He was the old school door-to-door salesman who wore out his shoe leather to write business for his bosses. His children told of him arriving home tired and footsore and his wife Jessie setting a hot water footbath infused with Epsom salts to ease his pains. 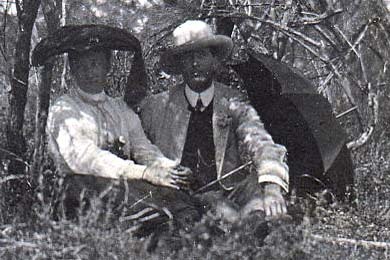 In 1917 J&W Bateman moved the family to Kalgoorlie. During their time in Kalgoorlie they lived first at 118 Varden Street, but this proved too small, so they 81–83 Campbell Street. Times were hard. The price of gold, the umbilical cord linking Kalgoorlie to prosperity, had remained relatively constant, but the Nation was suffering a general malaise brought on by the Great War. The Goldfields were depressed, so in 1919 J&W Bateman removed Henry and his family back to Fremantle. There was a delay moving into their home at 77 Samson Street, Beaconsfield, so the children were temporarily farmed out to their Flindell and Ulrich grandparents. The majority of Henry’s life was as a hardworking salesman. He was an active member of the Commercial Travellers Association. He loved people and built trust and friendships with his customers. In his latter years he was moved into a clerical position. Henry retired at 70, but he seemed to miss the daily customer interface. He had his lawn bowls, but sadly did not enjoy a long retirement. He died in 1955 aged 73. Henry was 10 when his family became founding members of St Paul’s Church, Beaconsfield. Prior to that they worshipped at St John’s, Fremantle. Services began in St Paul’s hall in 1892. The Church foundation stone was laid in 1905. Henry and Jessie were married in this church just three weeks before the first anniversary of laying the foundation stone. Both Henry and Jessie held various church offices, Jessie with the Mothers’ Union and was the secretary for 37 years; Henry as a vestryman and church Secretary for 49 years. He also served as both a Church and Rectors Warden. They were totally involved in the life of St Paul’s, which in this era provided an eclectic array of family activities and functions. The family went to Church each Sunday morning and sometimes to Evensong. The children attended Sunday school, although Jack, the baby, admits to slipping away to kick a football around on the nearby school oval. It is hard to find a family wedding not consecrated at St Paul’s, a baptism not performed over the font, or a funeral not conducted by the Rector of St Paul’s. Perhaps that was a function of a time when cars were not common; indeed neither Henry nor his father could drive. The family walked to church, regardless of the weather. Sunday lunch was generally a roast cooked in a wood fired oven, winter and summer. For many years Christmas lunch was prepared in the same way and the children and grandchildren gathered around a long dining room table on Christmas Day. To Fremantle also belongs the distinction of being the birthplace of the older friendly benefit society in the colony, namely, the parent lodge in Western Australia of the Manchester Unity Order of Oddfellows. The establishment of the New Swan Lodge dates so far back as 1851, and its oldest past officers were accorded every honour as they marched in procession of the lodges prior to the opening of the gala yesterday. Whether Joseph was or was not involved in founding the lodge is not important. What is important is that the Lodge played a significant role in the wider Ulrich/Flindell families. Such lodges were based on British Oddfellows and therefore provided an altruistic and benevolent service, which included supporting members and families in time of need. They also provided medical and funeral benefits as a Friendly Society governed by legislation for the operation of not-for-profit entities. Henry would have held a number of positions in the lodge, but the only one confirmed was in 1908 when he was elected as a supporter of the Noble Grand (NG). The newspaper article indicated his brother-in-law Frank Ulrich was elected as NG. Frank was killed at Lone Pine, Gallipoli in 1915. St. Paul’s v. Scots’ – St. Paul’s team: H. Flindell, G. Hogg, P. Yeo, W. Hogg, C. Comming, A. Rawlinson, H. Carey, W. Flindell, L. Lobascher, B. Ulrich, W. Kekedick, H. Woodrow and J. Hopkins. Henry aged 28, may have been the team captain. Also selected were his youngest sibling Walter, also known as Son, almost 17 and his brother-in-law Hubert (Bert), almost 20. A match is being arranged between the grocers of the metropolitan area and the commercial travellers, to be played at Loton Park on the 15th inst, commencing at 3 o’clock. Afternoon tea will be available for the players and lady friends. The travellers’ team will be finally selected on the ground, but intending players are requested to send their name to Mr. H. Flindell, care Messrs. J. and W. Bateman, Perth. Dinner conversation in the Flindell household would have been interesting. This was the year Alan, Henry’s eldest, began his grocers’ apprenticeship. Debnam, Darcey, Davison, S. Barrett. The election of office-bearers resulted as follows: Patron, Mr. R. J. Lynn; vice-patrons, same as last year, with the addition of Mr. D. Mulcahy, in place of Mr. Lynn; president, Mr. L. E. Bowden; secretary, Mr. T. C. Wilson; treasurer, Mr. S. H. Cookson; delegates to Western Australian Football League, Messrs. W. H. Linkson and H. L. Reilly; auditors, Messrs. H. L. Reilly and H. Flindell; general committee (players), Messrs. C. Doig; W. Craig, and D. Christy; (non-players) F. E. Palmer, “Scotty” Doig, A. H. Dumble, and T. Shanahan. East Fremantle Football Club (EFFC), which formed in 1898, played a significant role in his life and he held a string of positions in the Club. 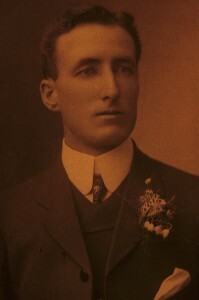 In 1922 Henry’s commitment to EFFC was recognised with life membership. Henry’s brother Walter (Son) returned from the Great War without his right arm and leg, and he too became involved in the administration of the club and a life member in 1933. Theodore (Dudy) Ulrich, Jessie’s younger sibling, was also devoted to the club and became a life member in 1924. He was a life member of East Fremantle Football Club and has been associated with the Fremantle Bowling Club for 37 years. The late Mt. 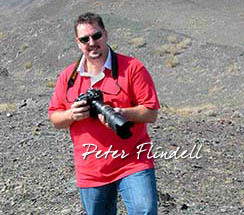 Flindell was also a veteran member of the Commercial Travellers’ Association. On May 27th 1956 at St Paul’s Anglican Church, Beaconsfield, a marble memorial tablet was dedicated to the memory of the late Mr Henry J. G. Flindell. His life was worthwhile. Jessie survived her beloved husband by almost nine years. She was not a well woman; indeed she suffered a serious illness in her forties from which she did not fully regain her health. It was due to this that she resigned her position as secretary of the St Paul’s Mother’s Union. The passing of Mrs. Jessie Flindell closes a very wonderful chapter in the history of St Paul’s. Ever since childhood she has been in the centre of our church fellowship. Married in St Paul’s on 1st August 1906, from then on she and her husband served their Lord, he for many years secretary of the Vestry and she for a similar period secretary of the Mother’s Union, from which she retired in 1932. A splendid Christian example was set by them before their family of 5 sons and 2 daughters and their influence is a treasured memory not only by them but a host of friends. Jessie Flindell’s passing was anticipated by her, from the depth of her faith, as a moment of glorious re-union with those who had gone before. So let it be with us all, when we gather on the other side. The family later donated a White Altar Frontal in memory of their mother, which was placed on the altar on Easter day and dedicated on Anzac Day 1965. The frontal was made by Mrs Bellamy, a lifelong friend of Jessie Flindell and St Paul’s. Another mark of respect was recorded when her eldest, Alan, wrote to Mrs Oxwell expressing the families heart-felt thanks for closing her business premises whilst Jessie’s funeral cortege was in progress. Henry and Jessie were cremated and their remains are interred at Karrakatta Cemetery Rose Garden A, plot 117. Frank was Henry’s older brother. This is now part of University of Notre Dame, which has acquired a number of buildings in this old part of Fremantle. The J&W Bateman building contains the library. In 1892 Ford and Bayley registered the first gold claim in the Coolgardie area. Paddy Hannan and his Irish compatriots Flanagan and Shea found 100 ounces of alluvial gold in June 1893 in an area now known as the Golden Mile. A gold rush followed. A mere 14 years before Henry took his family to Kalgoorlie; C.Y O’Connor solved the Goldfields’ great thirst with a 563 km pipeline from Mundaring. This was later re-numbered 45 Samson Street. I recall my mother complaining that while she and the other women worked in the “stinking hot kitchen” the men sat outside under the shade of the fig tree drinking cold beer. He was also a member of the Ancient Order of Foresters Lodge. For more on the life of Son see the section of Water Richard Flindell 1893-1968. For more on the life of Dudy see Theodore Ulrich 1893-1975.